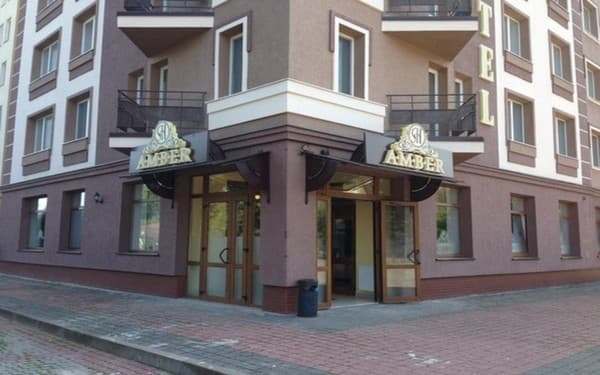 The "Amber" hotel is located on the outskirts of the town of Bogorodchany, a 10-minute walk from the bus station. 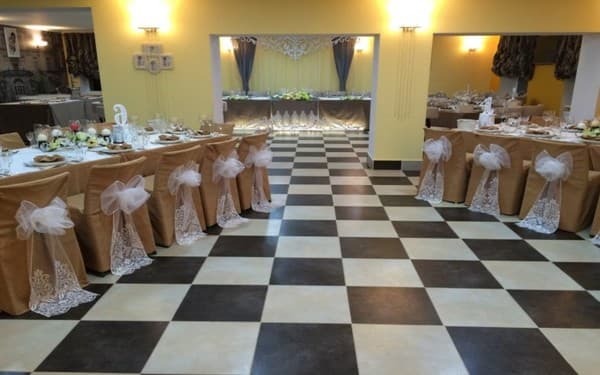 The hotel has 19 rooms, decorated in a classic style. 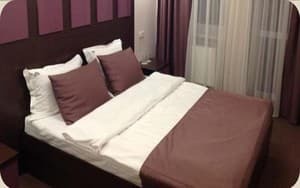 All rooms are equipped with comfortable furniture, cable TV, private bathroom, hairdryer. 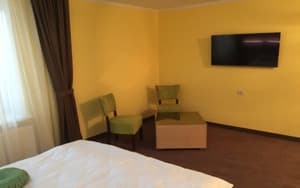 For guests staying at the hotel "Amber" - free parking, Wi-Fi access, laundry, transfer. 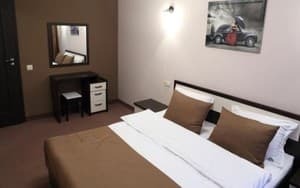 The hotel has a restaurant serving a wide range of dishes. Distance to Ivano-Frankivsk - 20 km, GC Bukovel - 80 km. 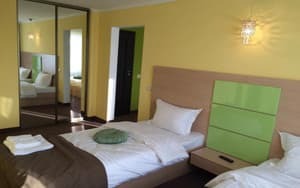 Description of the room: Single room, equipped with all necessary for comfortable living accessories. 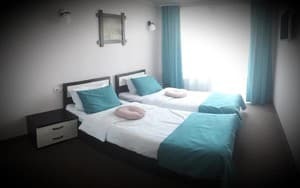 Description of the room: One room, equipped with a double or two single beds, bedside tables, closet. 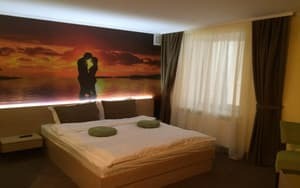 Description of the room: One room, equipped with a double bed, bedside tables, wardrobe and balcony. 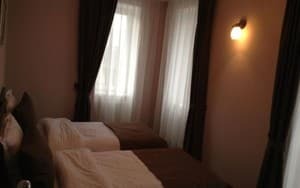 Description of the room: Spacious room, equipped with a double bed, a sofa bed, a wardrobe. Children under 6 years are accommodated free of charge without providing extra space. For children up to 3 years of age is provided a riding hall (on request). Breakfast "Milky" - the cost of 100 hryvnia, breakfast "Sutny" - the cost of 100 hryvnia. Breakfast is available from 7.00 to 10.00. The restaurant operates from 12:00 to 24:00 (weekdays), from 12:00 to 02:00 (weekends). 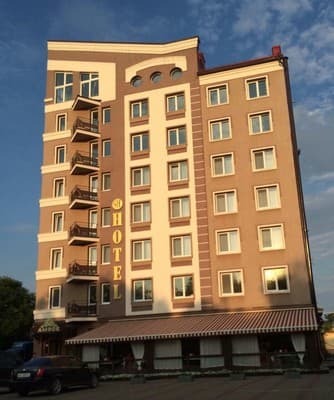 The hotel is located on the outskirts of the city in the direction of the route "Ivano-Frankivsk-Bukovel" in 10 minutes walk from the bus station. 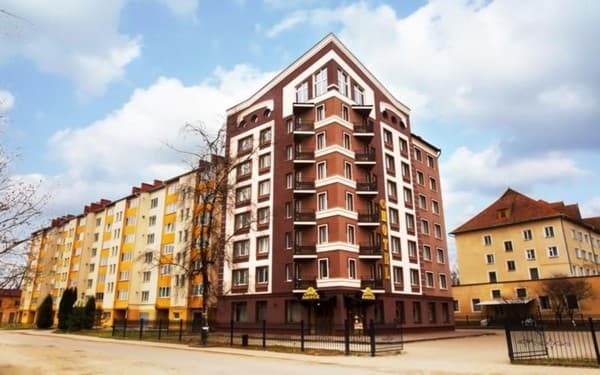 The distance to Ivano-Frankivsk is 20 km, the Bukovel GC is 80 km away. 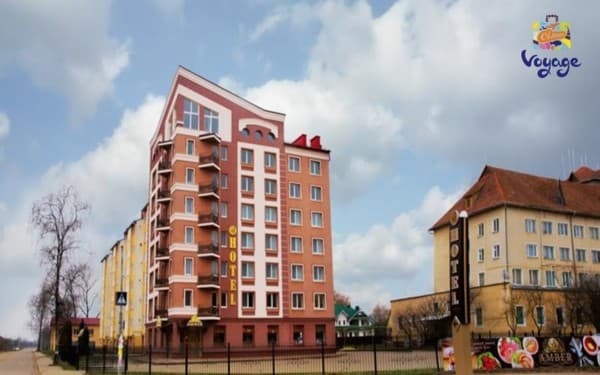 By bus from Ivano-Frankivsk to the town of Bogorodchany, as well as the hotel provides a shuttle service for an additional fee.